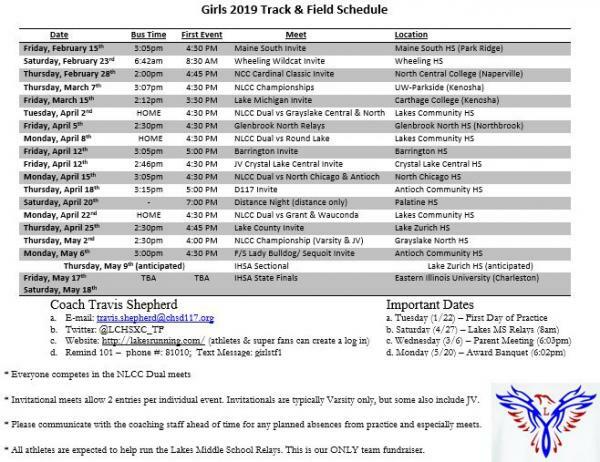 There will be an informational meeting for the 2019 Track season this Wednesday (Feb. 6th) at 6:03pm in the Cafeteria. We will go over important information for the season. 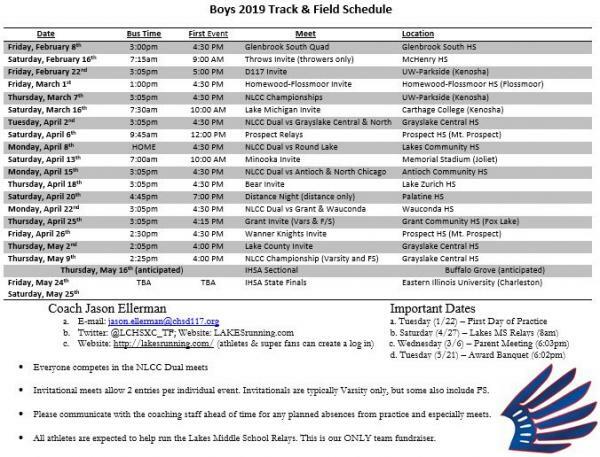 We will also hand out our most updated schedule (shown below). If you cannot attend the meeting, we will post the necessary information on this news page. Please feel free to contact Coach Ellerman (Boys) or Coach Shepherd (Girls) with any questions. Looking forward to a fun and exciting season! Click here to view the presentation from our Parent Meeting.